Reliance JIO welcome offer was introduced in September month with free calls and 4G data for all its customers until December 31. The scheme had welcomed around 52 million customers and many users had faced issues in slow speeds, problems in waiting in long queues and other complaints. But, Reliance JIO has managed the customers with its various user- friendly services. And on (Thursday, December 1st), it recalled other happy news for the customers. Reliance JIO’s happy New Year offer is a scheme provided for all new and existing customers; the offer includes free data, calls, and a package of JIO apps. It will be initiated once the welcome offer ends and the existing customers will be invited to join the New Year scheme to access the option without changing their SIM. The chairman also announced that the users can enjoy the limit of 1GB in New Year offer and once the data has been exhausted, the users will face slower speeds. The reason behind the FUP limit is many customers had consumed the data inappropriately which resulted in network congestion but anyhow, the welcome offered full FUP of 4 GB to all its customers. 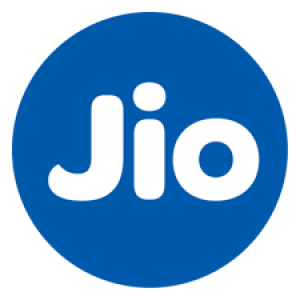 The JIO SIM is compatible only with 4G supported mobile devices. The service issues faced by customers due to interconnection congestion will be served by the management. JIO also announced the changes in aadhar based schemes under the same eYKC activation. At present, the eYKC receive six lakh customers every three months and the company has planned to introduce more than four lakh outlets around India.